Designed to work with Johnson line-generating lasers with pulse feature, such as the 40-6602, 40-6662, 40-6637 the Johnson 40-6780 One Sided Line Laser Detector senses the pulsating light emitted by the laser and quickly and accurately locates the beam even when it is invisible to the human eye. This laser receiver features high sensitivity settings, single backlit display, and clamp for mounting to leveling staffs or grade rods. Plus, it operates within a range of up to 300 feet. 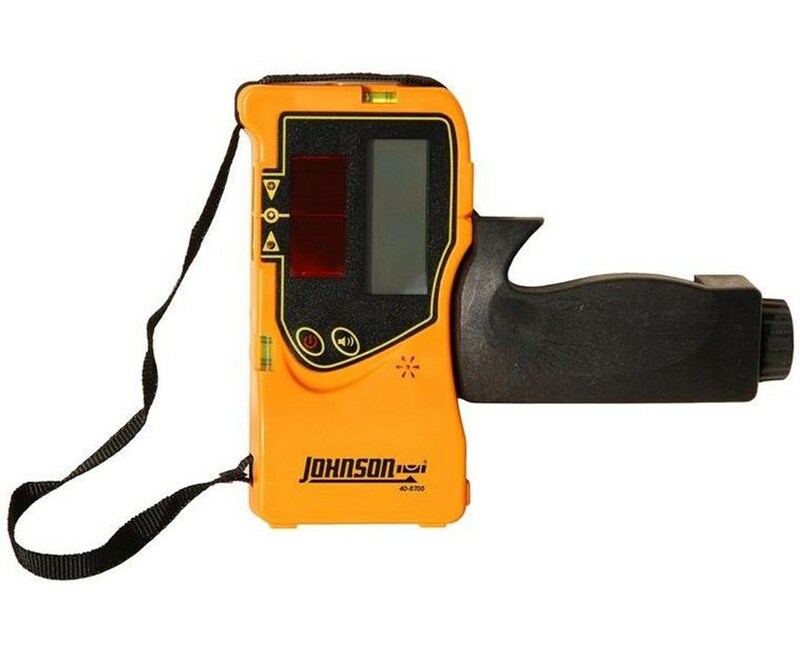 This Johnson line laser detector features illuminated, front LCD display and bright visual LED indicators for precise leveling and easy readings. Expanding the outdoor working range of pulse line-generating lasers, this laser receiver has two detectable accuracies – fine and coarse. It also has audible tones for an on-grade indication in noisy job sites. 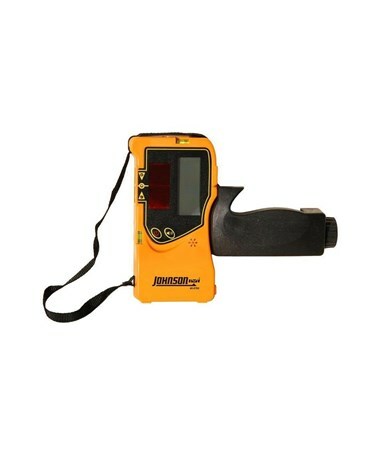 When not in use for six continuous minutes, this Johnson laser detector will automatically power off to preserve battery life. This laser receiver package comes with a rod clamp, 9V battery, and 3-year manufacturer’s warranty.